I took a 2 day social media seminar given by Melody Jones a few months ago. Both nights I came home with my head swimming from all the information she shared. Not only did she give us information, she also had us do hands-on work so we could become familiar with the ins and outs of her instructions. The lady knows what she’s talking about, too. She also helps a number of authors with their marketing. Readers, get ready to enjoy and learn. Melody, please share a little about your prior job history before you made switch into the current position. I was a social worker for nearly 20 years and worked with at-risk teens to help them emancipate from the foster care system into the community successfully. Why change to social media marketing? I was an early adopter and found I really truly loved social media! I have a passion for it and learned as much as possible and about sound marketing principles, as I could. I’m also an author and came to realize years ago that my fellow writers and authors did not enjoy social media as much as I did, and so my niche was born. We hear the term author platform thrown out often. 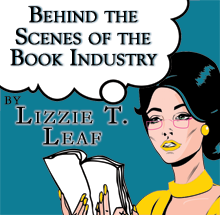 What exactly is an author platform and how is one created? An author platform is proof that someone has visibility and authority with a proven reach to a target audience. Most new and aspiring authors believe that an author platform is only about social media, but in truth, this is merely a piece of it. Readers want to know something about an author before buying their book, so what are you doing to be visible and establish authority off of social media? Do you make appearances? Are you published in trade magazines? Are you on the speaking circuit? Radio and television interviews? Guest blogging? Podcasting? Teaching? Have you sold written pieces? Do you have proven website visitors? Authors must create a plan to address their visibility and authority. And don’t forget: your specific target audience is vitally important in this process. If you’ve defined your target audience as “everybody,” then all the platform building in the world won’t result in book sales because you won’t reach the people who care. How important is it for an author to be on social media? By now there’s no doubt social media is here to stay. In today’s world, authors must be visible and social media is a great way to help build that. In fact, certain demographics use social media platforms as search engine tools and if you can’t be found there, you don’t really exist. People love authors on social media because it makes them so much more approachable, so much more real, in a way never available before. It’s a chance to show your true personality and your authenticity. Be where the people are. Another term I’ve heard about is the 80/20 rule. Can you explain this and why it’s important? If you’ve ever seen an author’s social media account where they constantly tell you to buy their book, you’ve witnessed someone who doesn’t understand the 80/20 rule. 80% of the time, authors should share posts that are informational, educational, inspiring, and entertaining. This means you share from sources other than your own including articles, blog posts, classes, and graphics. If you blog, or write articles, include these here. 20% of the time you ask your fans to take an action such as buying your new book, signing up for your newsletter, subscribing to your blog, or buying a workshop. You can do that because you’ve spent time being a fantastic resource and being a real person. You’ve established the “know, like and trust” factor, and THEN people will buy from you. What are the best social media sites for authors? How do they work? The best sites are where your readers are. Authors must first research what platforms their readers use and establish a presence there. Many authors use Facebook and Twitter and some are quite successful on Pinterest. Non-fiction authors can do well on LinkedIn. How they work is a loaded question! Knowing the language and demographics of each platform is important. Facebook is more casual and family-oriented, Twitter is fast-moving and succinct, and Pinterest is highly visual with a predominantly female user base. I recommend authors educate themselves by reading Social Media Examiner, a site with well-written in-depth posts by highly expert authors. Given there are only so many hours in a day, is it best for authors to limit their social media time and concentrate on writing? Time management is a big issue for authors handling their own social media. A balance must be achieved, and the best way to do that is by learning to use tools and by committing time to it on a consistent basis. There’s a learning curve in the beginning, but that smooths out over time. Some authors hire an expert to handle their social for them so they can better focus on writing and building the rest of their author platform. Are there free tools available to help authors manage social media? How do they work? One of the best and oldest social media automation tools is HootSuite. They have a free version that allows you to schedule posts and manage different accounts from one dashboard. I also recommend authors use an RSS tool called Feedly that collates all the different websites you pull content from in one place making it much easier to find information of interest to your target audience. In addition, a planning calendar is a must and Google offers tools to make your own calendar. Finally, there’s Canva. Graphics are vital to any social media strategy and this online program allows the most novice user to create their own graphics in sizes optimized to different platforms. What are the best times for an author to post on their social media account(s)? Should one post frequently throughout the day, or is there such a thing as overkill? Times vary based on which social media platforms one is using. For example, Twitter is so fast moving that you can easily tweet 15 times a day and not be spamming people. On Facebook, however, that would be overkill! One to two posts per day is best. One per day Monday through Friday works well on LinkedIn, and on Pinterest, 10-15 pins and repins per day is fine. What is the best way for an author who wants to gain more information on how you can possibly help them manage their social media to contact you? The best way to contact me is by email at Melody@SocialMediaMelody.com. I also – of course – welcome authors to follow me on social media: facebook.com/socialmediamelody and @SocMediaMelody on Twitter. I’m also on LinkedIn and Instagram. The services I offer include social media management done for you, individual coaching, workshops tailored to your audience, conference presentations, and a unique service called Social Media Retreats, where we learn in a more relaxed, supportive, anti-bootcamp atmosphere – and you get access to my brain for 2 ½ days! Sounds great! Thank you for taking time out of your hectic schedule to answer a few of our questions, Melody.